Carrabba's Italian Grill: 6 mile(s) from Carrabba's Italian Grill, full service, Italian, open for: lunch, dinner, very good. From: Sarasota-Bradenton International Airport. Take a right on University to US-41. Take a right (North) continue to Cortez Road. Take a left. 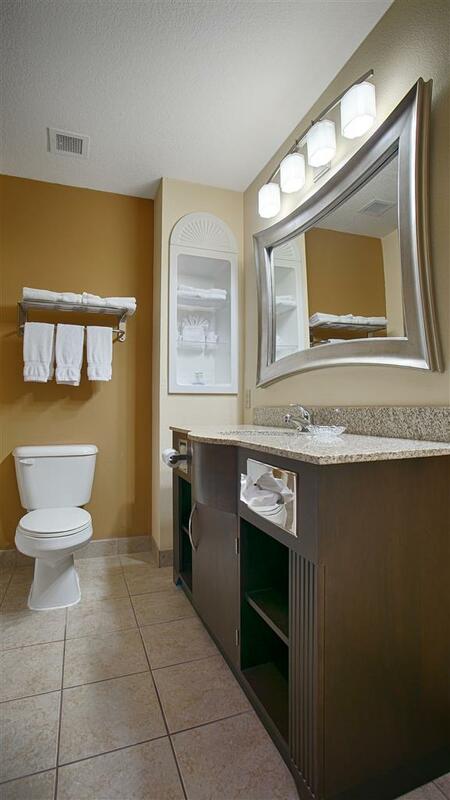 The Best Western Plus Bradenton Gateway Hotel is on your left about 0.25 miles ahead. From: Tampa International Airport. Follow the signs to Interstate 275 South. Merge onto Interstate 275 South toward St. Petersburg (Portions toll). Merge onto US-19 South via Exit 5 toward Palmetto/Bradenton. Turn slight right onto US-41 S/FL-45 S/Tamiami TRL. Take US-41 South toward Interstate 75/Bradenton/Sarasota. US-41 South becomes Cortez Road W/FL-684 West. End at the Best Western Plus Bradenton Gateway Hotel on the left. Red Barn Flea Market,3.00 mile(s) from Red Barn Flea Market, 1707 First Street East, Bradenton. 941-747-3794. One of Florida's most popular and progressive flea markets. South Florida Museum,8.00 mile(s) from South Florida Museum, museum, aquarium, planetarium. The largest natural and cultural history museum on Florida's Gulf Coast, interpreting the region from the Pleistocene to the present. The Salvador Dali Museum,35.00 mile(s) from The Salvador Dali Museum, this famous artist to life through an astonishing array of exhibtions and programs designed to delight and entertain all ages. In St. Petersburg. Call 1-800-442-3254.